Hello, peeps! Don't have much for now, though I'm always reevaluating and unloading various toys from my collection. PM for inquiries! Various "New 52" tpb/hardcovers - PM with offers! That's all for now, Arkers. Thanks for taking a look! Last edited by Poison Shadow; 06-22-2015 at 07:39 AM..
Now looking for a Marvel Universe Juggernaut as well. Now offering graphic novels! More to come. Updated haves/wants, PM if interested. Another small update, added another loose DKR MM as well as Retaliation Zartan to Haves. Another update to Haves: Palisades Chris Redfield, Dead Space Isaac Clarke (bloody), Marvel Universe She-Hulk MOC. 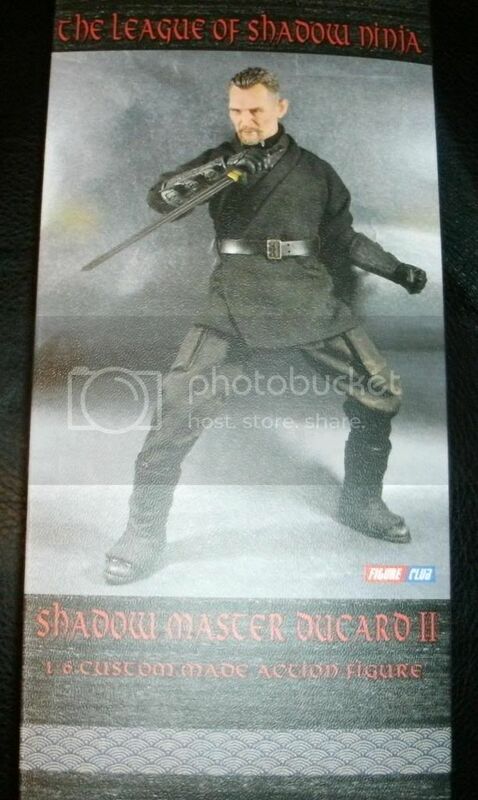 Anybody looking to get rid of their new Marvel Legends stands? Y'know, the ones that originally came with the Walmart Avengers and connect together. I'll buy 'em if the price is right! PM me. Updated original post. As always, PM me if interested in a trade. Alrighty, MM Alfred is gone - thanks for the Deadpool, Groundswell! I'm still interested in those Avengers/ML 'honeycomb' bases if anyone is looking to get rid of them, so shoot me a pm! Updated OP - now looking for DCC 3.75" Injustice figs! So, Croc is gone and I now have a DCC New 52 Joker (orange jumpsuit) available from the Heroes vs Villains box set. I'm also now looking for a few Beast Wars toys. SIDESHOW COLLECTIBLES 1/6th scale Catwoman, loose. This Catwoman is made up of spare parts from mine with a new body. She has the snarling head sculpt, the boots with raised toes and one set of hands. No goggles, whip or belt. Still figuring out what I'm asking for it, but feel free to send me an offer in the meantime. Again, she's for sale only, not for trade. Last edited by Poison Shadow; 05-31-2014 at 11:49 PM..
Taken out of the box once for inspection. $220 shipped within the USA. 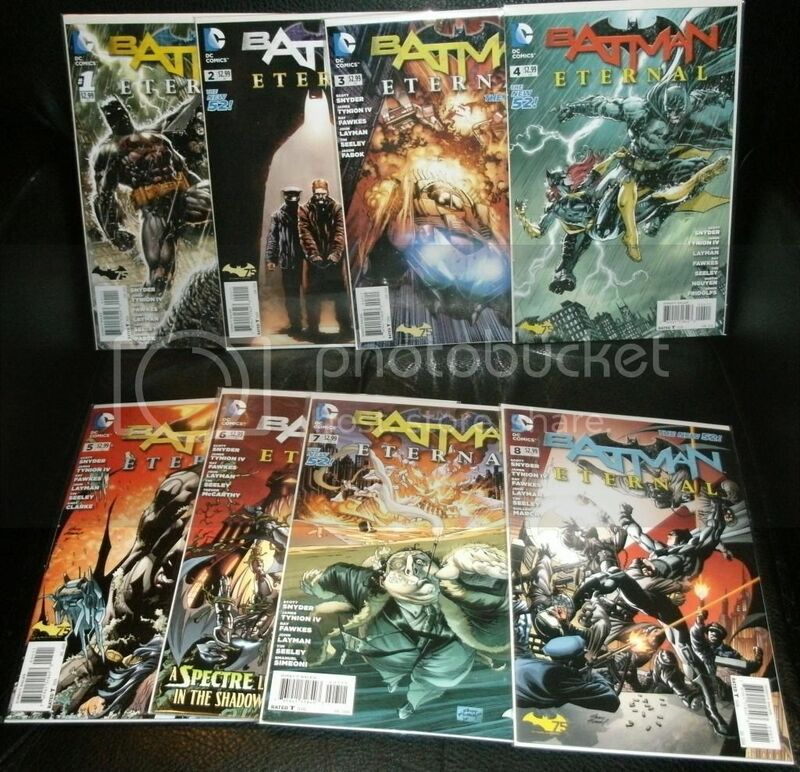 Batman Eternal issues #1-#8, each individually bagged and boarded in great condition. $22 shipped in the USA, $24 if you want tracking. Last edited by Poison Shadow; 08-23-2014 at 10:12 PM.. Remember folks, PM me about specific items because I don't check this page regularly! EDIT - SOLD! Now selling Jeff Lemire and Andrea Sorrentino's complete (and epic!) run on New 52 Green Arrow! Issues #17-#34 + the 3D Motion cover version of Futures End: Green Arrow which serves as the finale. Perfect jumping-on point for new readers! $40 shipped. Last edited by Poison Shadow; 10-11-2014 at 11:51 AM..
EDIT - SOLD! Batman Eternal issues #15-#26, $28 shipped. Features Red Hood, Batgirl, Red Robin, Killer Croc, the New 52 return of Hush, Stephanie Brown suiting up as Spoiler, and many other Batman characters. Last edited by Poison Shadow; 10-11-2014 at 11:50 AM..
Added Injustice: Year Two, COMPLETE SERIES, issues #1-#12 + the double-sized annual issue, bagged and boarded. $30 shipped within the USA. Last edited by Poison Shadow; 11-20-2014 at 12:54 AM..